Blandine is hurt on Roissy’s tarmac during a return flight where a group of africans resists to the embarkation. Even if she is on the French ground, her injury, her presence, her being are denied by the police, who she begs for asylum. France is deaf. France is not a safe heaven anymore. 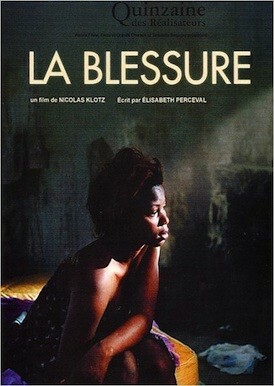 Produced by Aurora Films, Tarantula Belgium, Petits et Grands Oiseaux, Arte France Cinéma. Nicolas Klotz is the writer of several documentaries, including pictures of musicians like the sitar player Pandit Ravi Shankar, pianist Brad Mehldau or sax player James Carter. After two fiction feature movies (“La nuit bengali” and “La Nuit sacrée”, from the Tahar Ben Jelloun novel), he directs “Paria”, about the homeless kind of life, a topic he had previously approached on a Arte tv-movie : Un Ange en danger.